Who started the war ? World War I was a conflict with multiple layers. It began as a Balkan conflict between the two Balkan powers, Austria-Hungary and Serbia, but quickly expanded to become a war of Germany against the Franco-Russian alliance, after which other Great Powers and Balkan powers joined the war on one side or the other. So it did not have one single aggressor. The Sarajevo assassination was engineered by leaders of the extreme-nationalist, terrorist Serbian organisation ‘Unification or Death’, also known as the ‘Black Hand’, which must bear responsibility for provoking the Austro-Hungarian declaration of war on Serbia. However, the assassination did not reflect the policy of the Serbian government, and Vienna’s decision to go to war against Serbia was an expression of long-standing Austro-Hungarian imperialist plans. Austria-Hungary and Serbia each had predatory, expansionist designs against each other. However, Austria-Hungary, as the much bigger power, whose leadership officially decided on war, bears the greater responsibility for the outbreak. Was the fatal shooting by Gavrilo Princip the true cause or simply the formal pretext for a great war that had long been ‘cooking’ ? The Sarajevo assassination was the spark for the outbreak of a conflict that would almost certainly have happened anyway. However, it was not accidental that the conflict broke out over an event in the Balkans. Austria-Hungary had for decades sought to control Serbia, but Serbia had in the years before 1914 – particularly since 1903 – increasingly moved away from Vienna’s influence. Serbian leaders had long-term plans to ‘liberate’ or annex South Slav territory in Austria-Hungary, and the Black Hand supported terrorist acts like the Sarajevo assassination as part of a deliberate expansionist strategy. Austria-Hungary, for its part, sought to extend its imperial influence southward into the Balkans and viewed Serbia as lying in its natural path for expansion. Beyond this, Germany viewed the Balkans and the Ottoman Empire – the Near East – as a key sphere of influence, after it had largely been shut out of other areas for imperial expansion by the British and French. Russia viewed the possibility of Austro-German expansion into the Balkans as a mortal threat. France competed with Germany for influence over the Balkan states, while Italy competed with Austria-Hungary for influence over the Albanian lands. So the Balkans and Ottoman Empire were a key area of dispute – probably the most important area of dispute – between the Great Powers. Consequently when the assassination crisis broke out in June 1914, neither Austria-Hungary nor Germany nor Russia felt it could retreat. Was it possible that the citizens of Austria-Hungary, that early summer in 1914, really did not expect any kind of military conflict, let alone a long war that would bring down the Monarchy ? The citizens or subjects of the Habsburg monarchy were divided over how they viewed the crisis that erupted in June 1914. The war party, represented most prominently by the joint Austro-Hungarian foreign minister Count Leopold von Berchtold and by Chief of General Staff Conrad von Hoetzendorf, was determined to attack Serbia following the assassination, but they did not foresee that this action would result in a general European war lasting over four years, and they certainly did not predict that the war would result in the Habsburg Empire’s collapse. Others, particularly the Hungarian prime minister Istvan Tisza, hoped after the assassination that war could be avoided. Ironically, Hungarian resistance to a Habsburg war against Serbia helped to delay its outbreak, so that Vienna lost the chance to occupy Serbia quickly and present the other Great Powers with a fait accompli. This ensured that when war did break out, it would not remain localised between Serbia and Austria-Hungary, but become a general European war. What did Serbia actually want ? What were its intentions toward Bosnia ? Bosnia had formed a key goal of Serbian expansionist plans ever since Ilija Garasanin’s (in)famous ‘Plan’ (Nacertanije) in 1844. Following the Austro-Hungarian occupation of Bosnia-Hercegovina in 1878, those Serbian statesmen who favoured collaboration with Vienna – most notably Prince, later King Milan Obrenovic – chose to disregard Bosnia-Hercegovina and concentrate on southward expansion. But Bosnia-Hercegovina remained a long-term goal for nationalist Serbians, and the change of regime in Serbia in 1903, when King Aleksandar Obrenovic was murdered and replaced by Petar Karadjordjevic, brought to power those who certainly intended Serbia’s eventual expansion westward. This meant, firstly, the People’s Radical Party under Nikola Pasic, and secondly, the extreme nationalist army officers who had carried out the murder of King Aleksandar and who went on to found ‘Unification or Death’ in 1911. When Austria-Hungary annexed Bosnia-Hercegovina in 1908, Pasic called for preparations for war, and something of a war psychosis gripped Serbia, with the formation of the ‘National Defence’ (Narodna Odbrana) organisation to wage guerrilla warfare in Bosnia-Hercegovina. However, when he subsequently became prime minister in 1912, Pasic pursued a more moderate policy toward Austria-Hungary, since he was focused on Serbia’s southward expansion against the Ottomans. After the Balkan Wars, Pasic wanted a period of peace to enable Serbia to assimilate the territory in Old Serbia (Kosovo) and Macedonia it had taken. It was the Black Hand, whose leading officers Dragutin Dimitrijevic-Apis and Vojislav Tankosic were behind the assassination, who were the real war-mongers on the Serbian side: they supported terrorism and aggression in Bosnia-Hercegovina, against Montenegro’s King Nikola, against Bulgaria, etc., as part of a consistent policy. What was the state of inter-religious and interethnic relations in Bosnia-Hercegovina in 1914 ? Inter-religious and interethnic relations in Bosnia-Hercegovina in 1914 were better than they would later be within the Yugoslav kingdom. Serbs and Muslims were divided by the question of land reform, since the majority of Orthodox Serb peasants in Bosnia-Hercegovina remained subject to Muslim landlords. Croats and Muslims were divided over the issue of Catholic proselytising. However, there was also a general degree of solidarity among members of the Serb, Croat and Muslim elites. Conservative Serb and Muslim leaders had collaborated in their demands for church and school autonomy from the Habsburg regime, and for Bosnian autonomy. Some of the more liberal Bosnian politicians favoured inter-religious and inter-ethnic collaboration on a pro-Yugoslav basis against the regime. The actions of Gavrilo Princip and his fellow assassins were those of an extremist fringe, and were condemned by mainstream Bosnian Serb political and religious figures. Although the assassination provoked a wave of attacks on Serb properties in Sarajevo, these were condemned by Catholic Archbishop Josip Stadler and by Reis ul-Ulema Dzemaludin Causevic. Yet even Princip’s Young Bosnia movement encompassed Croats and Muslims as well as Serbs. Inter-ethnic and inter-religious relations in Bosnia-Hercegovina would deteriorate sharply as the result of the establishment of the Kingdom of Serbs, Croats and Slovenes. What was Young Bosnia ? Was it a Serb conspiratorial group, a wing of the Black Hand or an authentic Bosnian illegal organisation ? Young Bosnia was an ill-defined, loose network of Bosnian student radicals. It was numerically dominated by Serbs and many of its supporters were at least unconsciously inspired by the tradition of Serb Orthodox Christianity. However, its political goals bridged the gap between Great Serb nationalism and pro-Yugoslav ideas, and its adherents came to support common South Slav unification based on the overcoming of religious and ethnic differences between Serbs, Croats and Muslims. Consequently it was able to recruit Croats and Muslims as well as Serbs. Young Bosnia was an indigenous Bosnian movement, but it was co-opted by the Black Hand which sought to use it to advance its own expansionist goals. The Black Hand organised a guerrilla training school in Prokuplje in Serbia that prepared young people from Bosnia-Hercegovina to engage in terrorist activities. 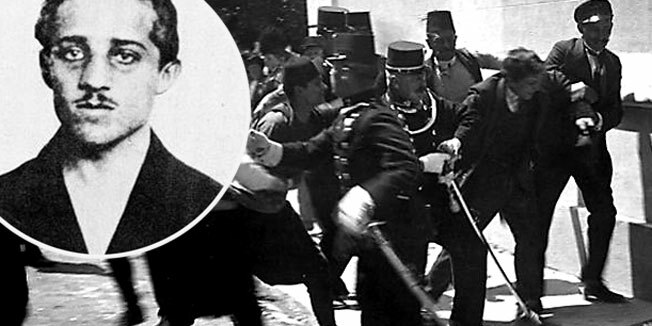 The assassination of Archduke Franz Ferdinand, engineered by Apis and Tankosic and carried out by Bosnian Black Hand agents – Princip in conjunction with others – represented the culmination of these activities. The assassination cannot be understood unless both the indigenous Bosnian element (Young Bosnia) and the external Serbian element (Black Hand) are both taken into account together. He is a figure that understandably divides Serbs, Croats and Bosniaks today. His political goals stood on the border between Great-Serb nationalism and Yugoslavism; he was very much Serb in his background, but he came to embrace a form of South Slav unification that stressed unity between Serbs, Croats and Muslims. He expressed violent hatred for the Sarajevo carsija, that from a contemporary perspective reminds us of Radovan Karadzic. However, his patriotic hatred was directed primarily against the foreign, Habsburg occupier, rather than against Croats or Muslims. His assassination set off a chain of events that had disastrous consequences for the South Slavs. Serbia was militarily crushed by the Central Powers in World War I, and only ended up on the winning side by luck: it was the US’s intervention in World War I that led to an Allied victory, in which Serbia was freed from occupation. The establishment of Yugoslavia was disastrous for Bosnia-Hercegovina’s peoples, and to a lesser extent for Croatia’s: it led to the Chetnik and Ustasha genocides of 1941 and to Milosevic’s and Karadzic’s genocide in the 1990s. We can reasonably view the assassination, leading to the establishment of Yugoslavia, as a historic wrong turn for the South Slav peoples of the Habsburg Empire. Some Young Bosnia supporters became notorious Chetniks in World War II. But it is important to remember that Princip was not Karadzic; he did not plan or engage in genocide. Was the assassination of the heir to the throne Franz Ferdinand a terrorist act, as the Austro-Hungarian authorities understandably treated it at the time and as it is today treated by some historians, or was it in fact a patriotic act, as it is treated by the majority of Serb and pro-Serb historians ? If it was patriotic, what kind of patriotism was it ? Serb ? Bosnian ? 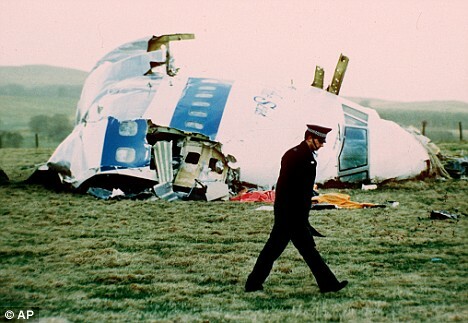 The assassination was undoubtedly a terrorist act, and it enjoyed no general support or democratic sanction among the Bosnian population – not even among the Serb population. So it cannot be considered as a legitimate act of a genuine national-liberation movement. But the assassins viewed themselves as patriots, and were undoubtedly sincere in their belief that they were acting in the best interests of their people. They did not have clearly worked out political goals – they were very young people, largely teenagers. They supported the liberation and unification of the South Slavs in general terms. Their patriotism was of a kind that blended Serb patriotism, Serbo-Croat patriotism, Bosnian patriotism and Yugoslav patriotism. Was the goal of Young Bosnia to ‘expel’ Austria-Hungary from Bosnia-Hercegovina, which would then become an independent state, or to annex Bosnia to Serbia ? Young Bosnia was a loose network with an imprecise membership – it was not a proper political organisation, and it did not have a precise programme. Its members broadly believed that Serbs, Croats and Muslims were the same nation, and they broadly sought Austria-Hungary’s expulsion from the South Slav lands so that these could be united with Serbia in a common South Slav state. In general, Young Bosnia’s members believed that Bosnia-Hercegovina belonged neither to Serbia nor to Croatia, but to both equally. At his trial, assassin Vasa Cubrilovic described his identity as ‘Serbo-Croat’, while Trifko Grabez said ‘I was not led by Serbia but solely by Bosnia’. How much did the new, post-war (1918) geopolitical picture of the Balkans influence the fact that at the end of the twentieth century a number of national states were established ? Those who defend the Versailles settlement claim that it permitted the liberation of the subject peoples from the former European empires – particularly the Habsburg Empire – and enabled them to form their own national states. However, from the point of view of the South Slav inhabitants of the Habsburg Empire – roughly speaking, the peoples of the lands that today comprise Slovenia, Croatia, Bosnia-Hercegovina and Vojvodina – 1918 arguably resulted in the exchange of one slavery for another. In the Kingdom of Serbs, Croats and Slovenes, both Croatia and Bosnia-Hercegovina lost the parliaments and autonomy they had enjoyed in the Habsburg Empire, and relations between Serbs and non-Serbs became worse, not better. In retrospect, we can view the Yugoslav period (1918-1992) as a transitional phase on the road to independent national statehood for the Croats and Slovenes (although the Bosnian question remains unresolved today). The establishment of Yugoslavia on a centralised, Serbian-dominated basis in 1918-1921 made it very likely, if not inevitable, that the country would eventually break up in favour of independent national states. Was Austria-Hungary a precursor to the European Union ? No; Austria-Hungary was a multinational dynastic state that predated the independent national statehoods of its peoples, whereas the European Union is a multinational union built from independent nation-states. Only by freeing themselves from rule by the Austro-Hungarian, Ottoman, Russian and other empires and establishing themselves as independent states, could the European nations go on to establish something like the European Union. Historians debate how inevitable the break-up of Austria-Hungary was; whether it might have survived had its leaders been more accommodating toward its non-German and non-Magyar peoples, or if there had been no World War I. But I believe pre-national multinational unions like Austria-Hungary and Yugoslavia ultimately had no future. As a general rule, unless a state is underpinned by a common national identity shared by most of its citizens, then it cannot survive in the face of democracy. Because people will generally want their nation to be free and independent, not to be ruled by an alien master. The question is today how many more independent nation-states will one day appear in Europe: Scotland, Catalonia, Chechnya, etc. ? What kind of lesson can Europe today draw from the Great War ? That the peace of Europe is best secured when the continent is organised on the basis of independent, democratic national states in which the rights of national minorities are fully respected. And when these states are united in trans-national unions or associations – political, economic and military – that provide a common framework for interaction while respecting the sovereignty of each member. The establishment of the former Yugoslav lands as seven fully-functioning, fully sovereign states – Slovenia, Croatia, Bosnia-Hercegovina, Serbia, Montenegro, Macedonia and Kosovo – and their unification within the European Union and NATO would provide the best guarantee for the region’s stabilisation. In such a case, the disputes of the past will matter less. Unfortunately, this process is stalled, and the futures of Bosnia-Hercegovina, Kosovo and Macedonia, in particular, appear uncertain. If Europe’s leaders remain unwilling to take the necessary steps to restore Bosnia-Hercegovina as a functioning state and to bring it into the EU along with Kosovo and Macedonia, then they will be responsible for any new conflict that breaks out.